Make a home coffee roaster by simply using a pan and an oven! Home coffee roaster is going to be the one process that gives you the perfect cup of espresso. There is no doubt about this, roasting is the most important stage in the entire coffee making process. The stage starts with sorting/grading, roasting,grinding and lastly brewing. Roasting with commercial or home coffee roaster alike is an art. This is the process that creates flavor and aroma, without it, none of the flavor of the coffee would be avail in the espresso (hmm...there wouldn't be any espresso to start with!). If the roasting is done badly, it either gives you a tasteless coffee or a bitter coffee, which in my vocabulary is yucks! But fear not, currently there are systems and specific home coffee roaster that really simplified the job that make bad roasting non-existent. Before we move on to any home coffee roaster, you must understand the basic rule of roasting. And that is the darker the roast, the lesser the true character of the beans and usually bitterness will dominate the flavor. As in all things, there are exceptions. Roasting Guatemalan Antigua beans to high roast will give it body and yet retain its acidity and fruitiness. And high roasting some mexican beans will actually make them taste sweeter. In this article, I would be showing you the easiest way to roast beans at home, but remember this -a roaster job not properly done would cause extensive damage. Roasting should be done at 240 degree celius and for a fixed time to get a particular roast. Flouted these rules, results in oil not extracted and underdeveloped flavor. And if the temperature is too high and the roasting too long, the beans will taste thin and burnt. So, slowly you can see why people are paying good money for those home coffee roaster right? Now, comes the million dollar question -which is the best home coffee roaster? 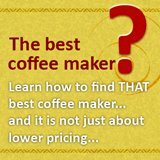 The range of home coffee maker goes from a small i-roast that have a cannister that holds half to one cup of green beans and costing USD$199 to a drum roaster that can roast 9 oz of beans and priced at USD$ 580. 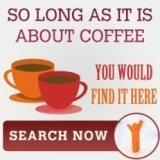 You can refer to this article: gourmet coffee roasters for some insights on the various home coffee roaster. First, preheat the oven to 260 degrees celius. Then, spread an even layer of green coffee beans in a cast iron skillet and put it in the oven. For light to medium roast, shake the pan occasionally. The beans will first turn yellow, then brown. You will hear a 'cracking' sound as the remaining moisture bursts from the beans and releases the coffee's aroma. If you are looking for a darker roast, trim the heat to 200 degrees celius after 20 minutes. Then continue to roast and shake the pan occasionally for another 15 minutes. The timing would depends on the darkness of roast that you desire. Once you achieve the desired roast, remove the pan and allow the beans to cool. Roasting with coffee bean roasters would give you the freshest coffee. 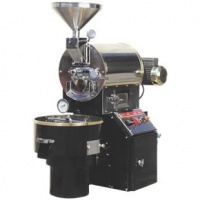 To mitigate your cost, this article highlights three low cost home coffee roaster. This coffee bean roaster from Alpenrost is slower, but it gives you a better roast and it is easy to clean being able to go into the dishwasher! If you are looking for commercial coffee roasters, you should check out diedrich, firstly because of its heritage of making roasters and secondly because most big coffee company are using it! Which Coffee Roaster Machines are good? Are Coffee Beans organic ones Better? 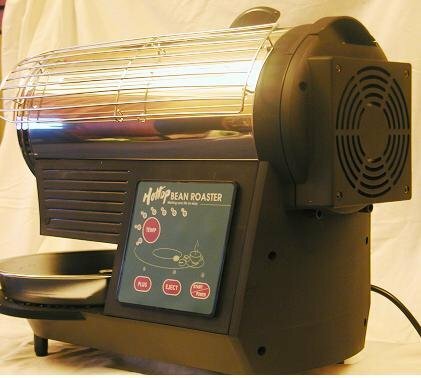 This commercial coffee roaster do it under 10 minutes! People getting commercial coffee roaster would want it to perform as fast as possible and here you would find a roaster that do exactly that! A quiet coffee roasting machine. Green coffee bean roaster has been gaining popularity and its ease of use might be a reason behind this. Diedrich coffee roaster is so much more! Aerorost ii coffee bean roaster comes with many value add, however the ability to make you into a coffee expert is the one you should check it out! Sure, alpenrost coffee roaster are plagued by negative reviews. But, did someone really manufacture such a unworthy machine? 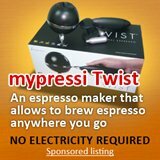 Used coffee roaster is easy to find, but it is good? Have A Great Story About Home Coffee Roaster? 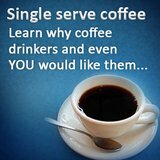 Do you have a great story about home coffee roaster? Share it!